Vintage Computing has put together a collection of the most delightfully wacky peripherals from the classic Mac era. Here are our favorites. Why it’s Strange: The Mac was never designed to move like that. It looks unholy and unnatural, like a giraffe on stilts. 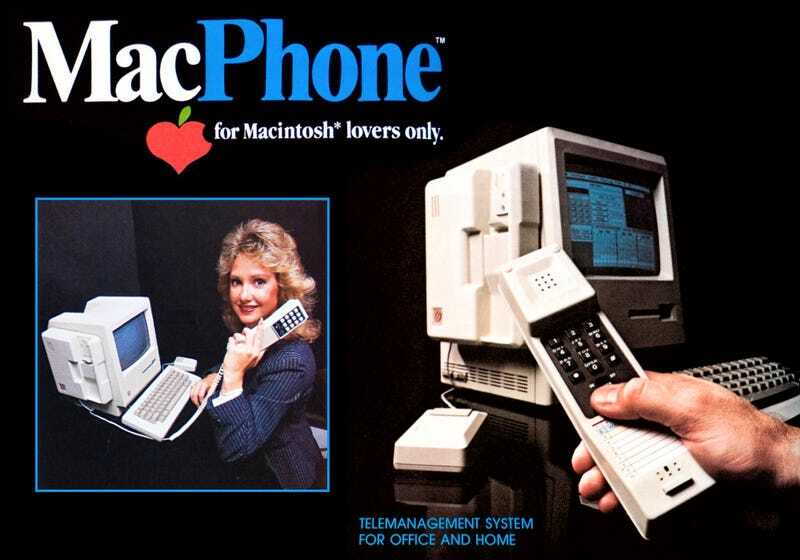 Why it’s Strange: It’s a telephone that straps onto the side of your Macintosh. Check out the article over on Vintage Computing to feast your eyes upon more peripherals that are equal parts ingenious and head-scratching, and learn about how they came to be. One word of warning: the Hercules Computer Condom will haunt your dreams forever. Images via Intermatrix, MacWarehouse, Byte-Me Hardware. Article excerpted with permission.